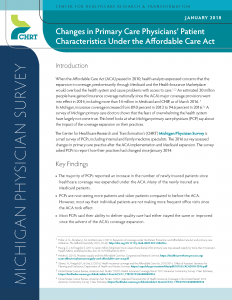 The Center for Healthcare Research and Transformation’s (CHRT) Michigan Physician Survey is a mail survey of PCPs, including internal and family medicine specialists. The 2016 survey assessed changes in primary care practice after the ACA implementation and Medicaid expansion. The survey asked PCPs to report how their practices had changed since January 2014. The majority of PCPs reported an increase in the number of newly insured patients since healthcare coverage was expanded under the ACA. Many of the newly insured are Medicaid patients. 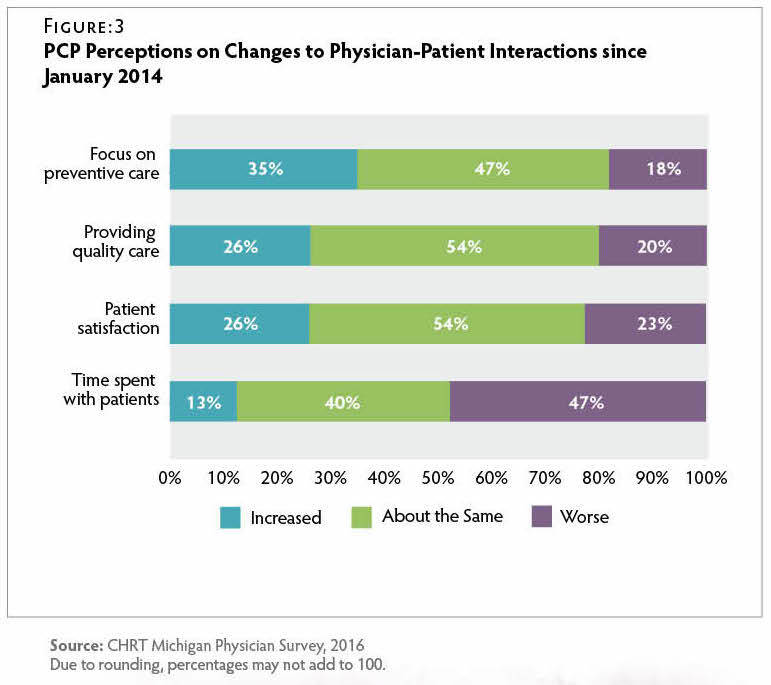 PCPs are now seeing more patients and sicker patients compared to before the ACA. 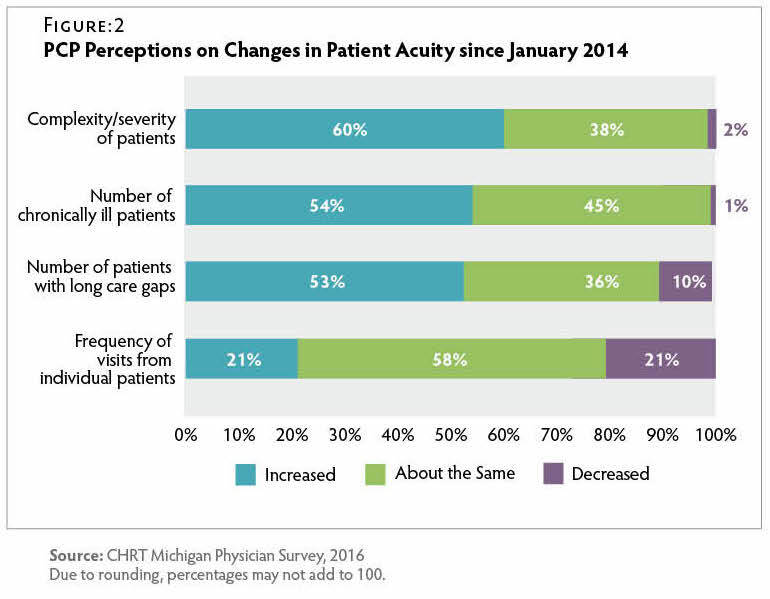 However, most say their individual patients are not making more frequent office visits since the ACA took effect. Most PCPs said their ability to deliver quality care had either stayed the same or improved since the advent of the ACA’s coverage expansion. PCPs have experienced many changes in their practices since January 2014. They saw greater volumes of Medicaid and newly insured patients and had more complex and chronically ill patients. But with the exception of less time to spend with patients, they reported few negative impacts on their practices. Physicians were relatively more positive about their ability to provide preventive care and keep their patients satisfied. 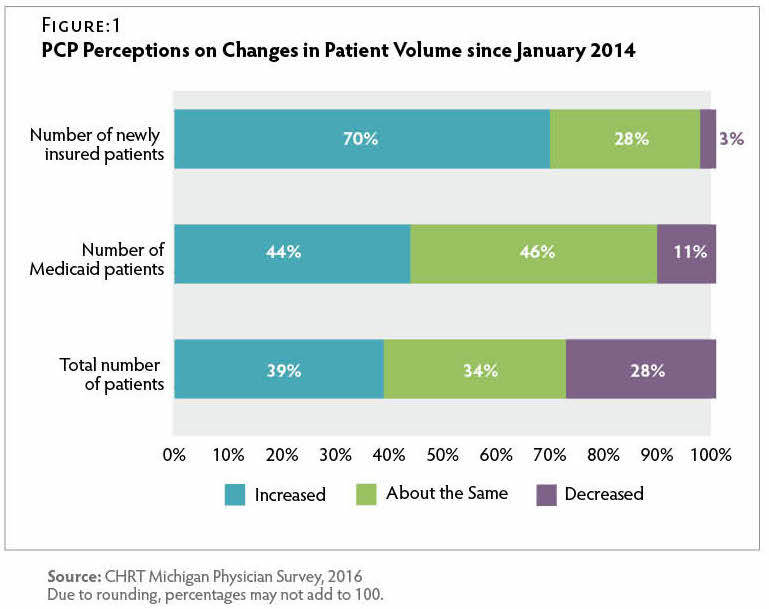 In order to accommodate greater patient volume, providers may have hired more staff, increased their use of advanced practice clinicians, expanded their health care sites, and extended their office hours.12 Overall, our analysis indicates that the expansion of healthcare coverage does seem to have allowed more patients who need care to receive that care without compromising quality.